Posted On April 30, 2017 by &filed under Legal India. 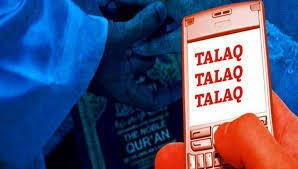 Prime Minister Narendra Modi today urged the Muslim community to ensure that the triple talaq issue was not “politicised”, and hoped that intellectuals from the community would come forward to fight the practice. Addressing an event marking the birth anniversary of Kannada philosopher Basaveshwar here, Modi voiced the hope that Muslims in India would “show the path of modernity” to their counterparts across the world. “There is so much debate on the triple talaq these days. Looking at the great tradition of India, my mind is filled with the hope that powerful people will emerge from the community in this country (to) eradicate outdated practices, evolve modern systems,” he said. In his 40-minute speech, the prime minister spoke about women’s empowerment, equality and good governance. “It is the strength of our country’s soil that people from the (Muslim) community will emerge to save our mothers and sisters from this trouble,” he said, referring to the practice of triple talaq. “I will urge people from the community to not allow the issue to get politicised,” Modi told the gathering at the event, which was also attended by Union Parliamentary Affairs Minister Ananth Kumar. Tags: .women's empowerment Don't politicise Triple Talaq equality featured good governance. PM PM Narendra Modi Triple Talaq Union Parliamentary Affairs Minister Ananth Kumar.